I found this book by Fred Puhn to be a good read. He does a good job of explaining technical subjects at a level that we can all understand. This book is fairly comprehensive and covers the subject very well. 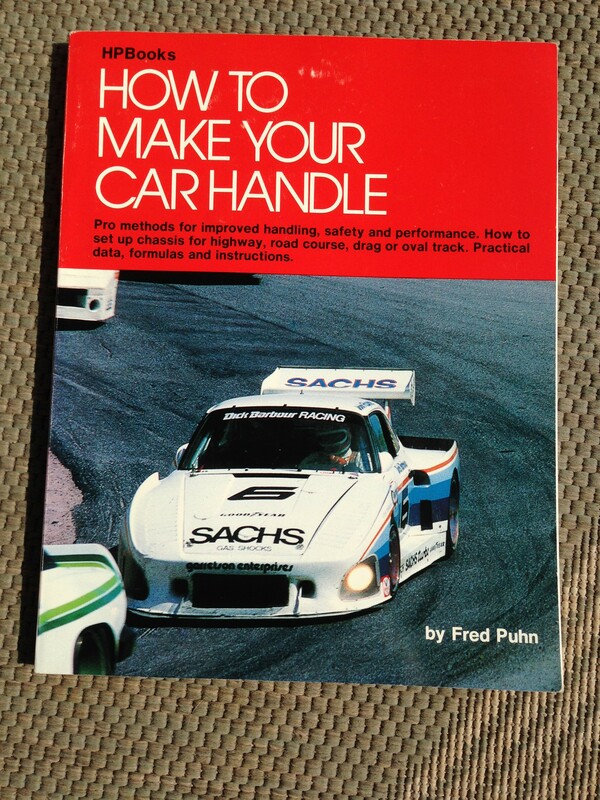 Fred has also written a book about Brakes which was equally informative and well written. It has been a while since I originally read this book so I took a minute to review it before I wrote this report. The copyright date is listed as 1981 and the book indeed dates back to that timeframe. As a consequence much of the info and cars used as examples is dated. In particular the tire discussion is way out of date. But, if you own a car that has little or no aero i.e. wings, splitters, under trays, etc. 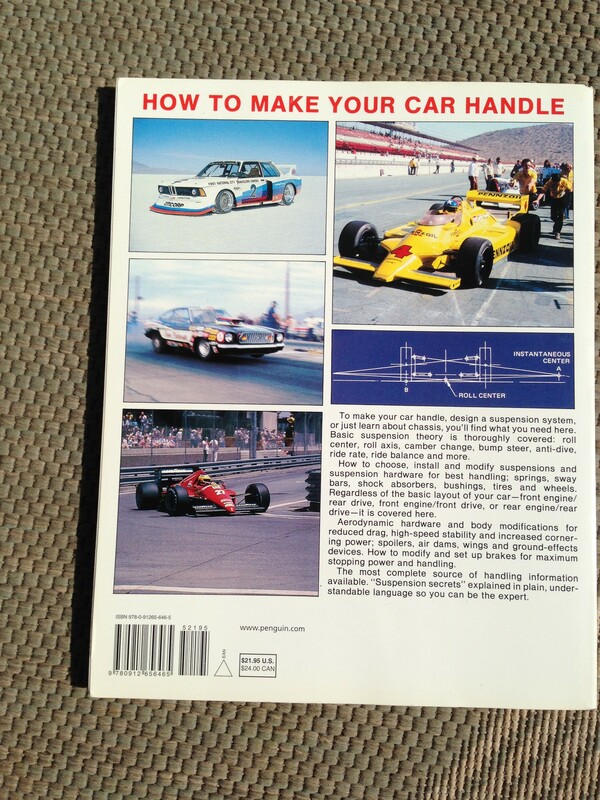 that produce significant downforce, then I think you owe it to yourself to read this book. It is a pet peeve of mine that many folks are running some ridiculous spring rates on their cars. It is my opinion that for many of us that do not have cars that produce downforce, this is unnecessary and probably not advisable. I know that race cars that rely on aero have to go to great lengths to limit ride height changes in order to maintain an optimum aero profile at different speeds. With a car like my Porsche 944, there is no downforce. So getting to my point about this book, as I reviewed it I was reminded that this book was written at a time when aero was around but not all that common. Puhn has a good discussion about setting your basic spring rates on a natural frequency criteria, with a rough target of around 2 hertz. Setting your suspension frequency up at 2 hertz, I can assure you that you won’t be running 900 lb springs! So by reading this book you will get a good understanding of how suspensions were selected before aero was such a concern. Not a bad thing at all! In summary, I think this book is worthwhile. You really need to read several books on suspension before it all starts to come together. This book should be one of them.